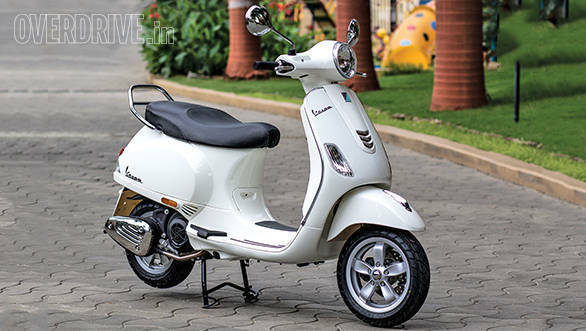 The windfall in the Indian two wheeler market continues and Vespa has just added to our growing list of options by bringing a new 150cc, twist-and-go segment to the mix. In addition to a new engine, the SXL and VXL also receive a new partly digital instrument cluster, new alloys and wider tyres. The SXL is billed as the more premium offering of the two new models and is distinguished by its rectangular headlamp unit and list of cool, matte paint options. The rest of the body is quite similar to the original VX model with the addition of new black alloy wheels, a new instrument cluster and broader tyres. 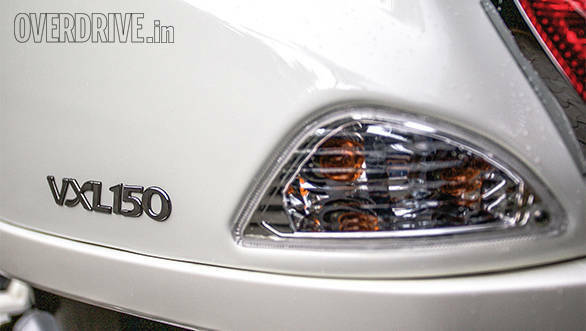 The VXL sports the more traditional circular headlamp unit, silver alloys and the same instrument cluster. 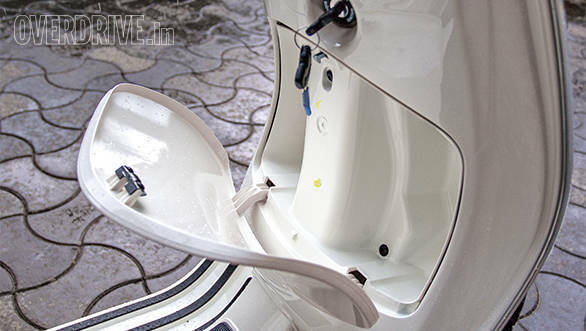 Another difference between the two scooters is the front storage space  the VXL comes with a lockable front storage space like the older VX model while the SXL makes do with a pair of cubby holes on either side of the steering column. The digital portion of the new instrument cluster adds a digital fuel meter and two trip meters to both scooters and you can toggle through the trip options by a switch on the right side of the handlebar. The speedometer is still an old trusty analogue design. And while more information is always welcome, we wish they would have kept the look more traditional to better match the rest of the scooter. 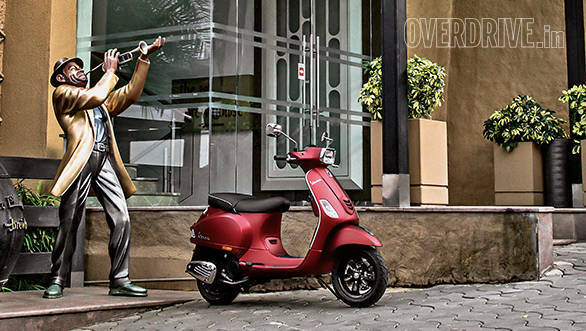 Both scooters manage to exude that old world charm that is one of Vespa's trademarks. The build quality and the fit and finish of the panels and switches remain the same as the old VX in that they're well made but not quite ergonomically sound, like the horn switch that's a little hard to reach. Both scooters still miss a parking brake. The big change is the new 150cc power plant, and it features the same three-valve, OHC engine with variable spark timing technology as the trusty 125cc engine. It makes 11.6PS at 7,000rpm and 11.5Nm at 5,500rpm. That's a jump of 1.5PS of power and a 0.9Nm jump in torque over the smaller engine. On the move, the new engine feels very familiar with lots of grunt from low down and a variable transmission that feels like it's wasting very little of those 11.6 horses. But it's the linear nature in which the 150cc engine makes its power that makes it hard to tell it apart from the 125cc mill, even ridden back to back. This is more down to the quality of the 125cc power plant rather than a lack of anything in the larger displacement engine. They both seem to pull just as strongly away from the line but it's when you hit a slope, or have a pillion on board that you can tell the difference the extra 25cc is making. It's in these situations that you can feel the larger engine pulling away a little bit more easily than the 125. The other change is in the handling department where the addition of the larger 11-inch front wheel and wider tyres have changed things up a bit. Turn in has slowed a little but overall, the scooter hasn't lost much of that sprightly handling we loved from its monocoque chassis. It's still a fun scooter to throw into turns and the wider 110mm front and 120mm rear rubber (up from 90mm, front and rear) just makes it feel more stable around corners and while braking. The 200mm front disc brake still feels a little wooden though and requires a fairly heavy squeeze for emergency stops and there seems to be more braking force on offer from the 140mm drum. There is an upside to the heavy front brake though  it's fairly hard to lock up the front end, making it safer for novice riders. The single sided front suspension up front and hydraulic unit at the rear are also carried forward from the old scooter and are rather firmly set up, resulting in a bumpy ride over broken roads. 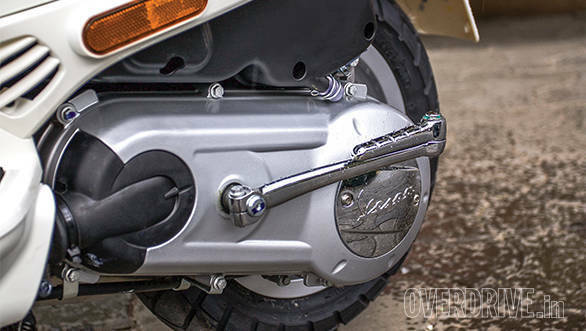 Vespa has always positioned itself as a premium brand in the scooter market and that has always reflected in their pricing. The VXL lineup starts at Rs 84,641 and the SXL starts at Rs 88,696 (both ex-Pune) making them the most expensive scooters in the market. It also lands them in the same category of some very capable 150cc motorcycles but this time around, it's not all about the styling. 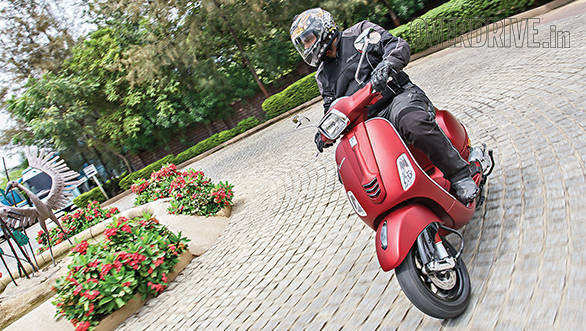 For starters, there is the novelty of the larger displacement which does make it an effortless, two-up scoot around town. There is also the extra stability of the new rubber and even the high asking price that actually adds some exclusivity to the style conscious buyer and for some, this may make a compelling enough case for the SXL and VXL. 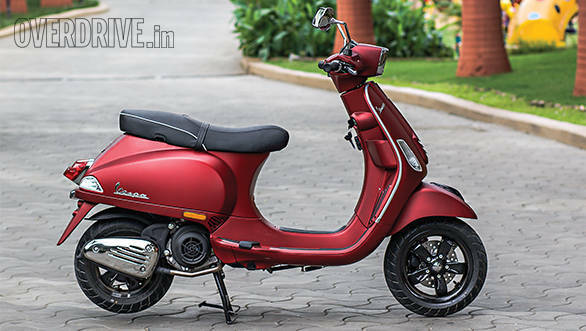 If style is your only concern, however, Vespa is offering both the SXL and the VXL in exactly the same trim, but with the 125cc engine, priced at Rs 81,967 and Rs 77,308 (also ex-Pune) respectively.